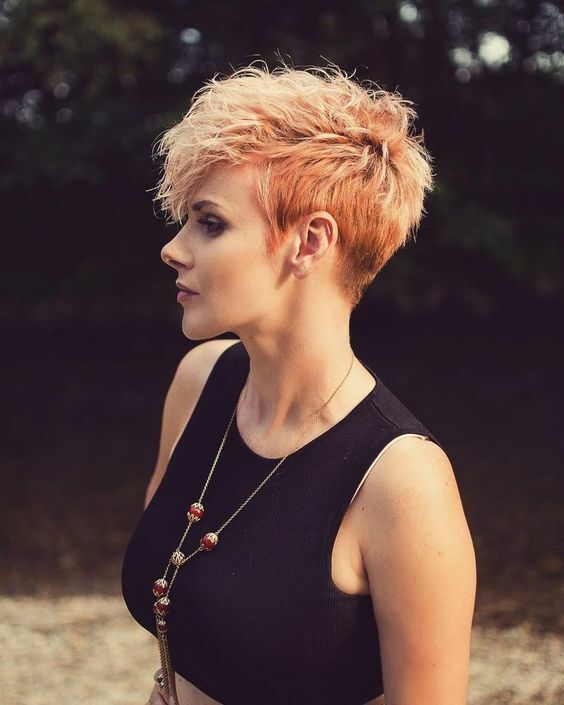 The messy pixie haircut is still the best way to add trendy style and flattering volume to fine hair. And a new, short hairstyle can dramatically refresh your face! 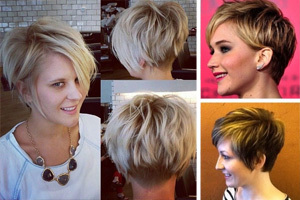 You can easily vary these short hairstyles to suit your mood and any occasion. 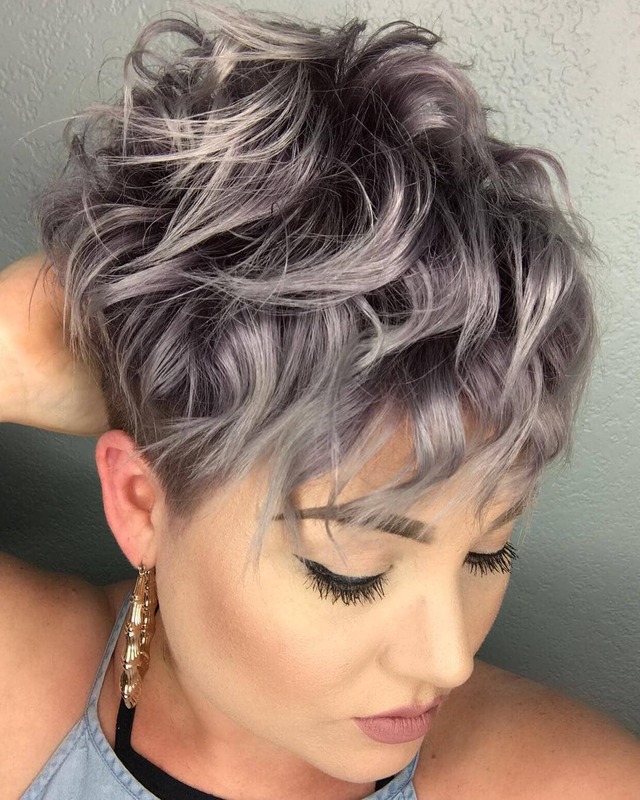 So feast your eyes on another fabulous gallery of fashionable messy pixie haircuts showcasing the very latest new hair-color designs! 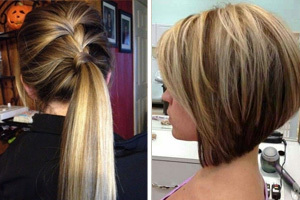 Very short hairstyles are full of fashion impact in the new hair colors. This shade of light beige blonde is soft and pretty, with just a hint of ash toner to keep it totally up-to-the-minute and edgy. 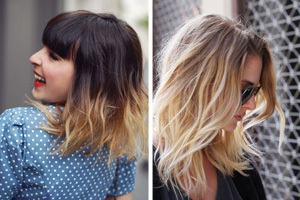 Longer layers around the top add shape and volume, whilst the messy finish creates a fabulously casual but chic image! Another great idea for extra body in short hairstyles is to get a light perm on the longer top layers. 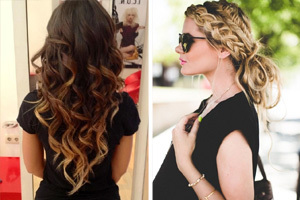 The aim is just to add some wavy movement, rather than full curls. And extra crimp in the hair makes it super-easy to wash and style with minimum effort. 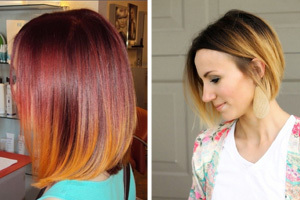 This modern color design moves from burnt orange at the nape, through bright copper to finish with soft, peach-blonde highlighting the tousled top! 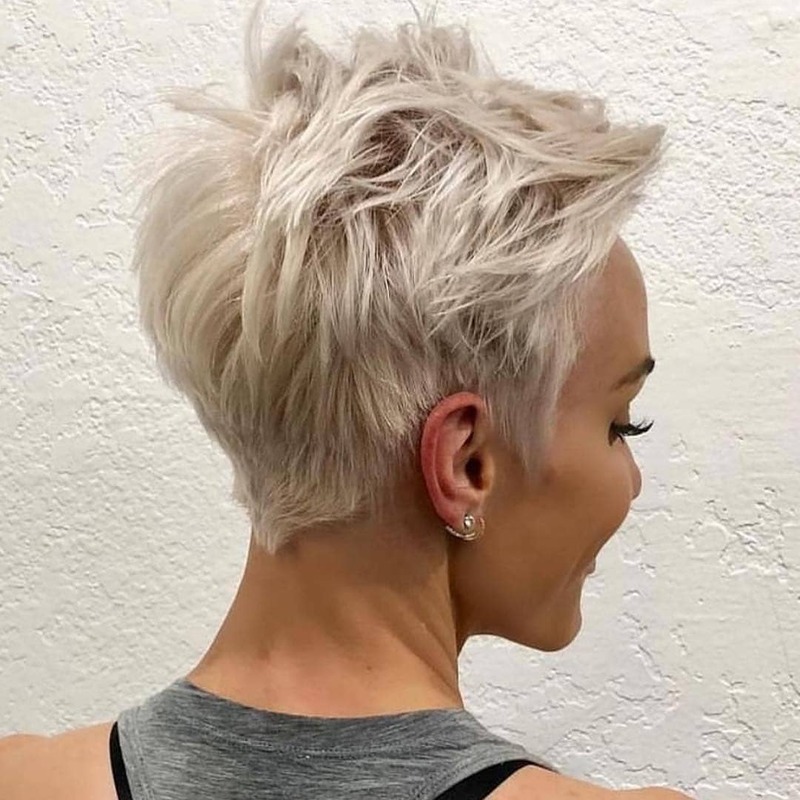 The key feature of this chic short hairstyle is the beautiful metallic, silvery blonde color with a hint of edgy ash toner. It’s a more sophisticated color than plain white-blonde and suits skin with a cool undertone. The look is futuristic, with bendy waves and carefully defined strands adding interesting shape and movement. 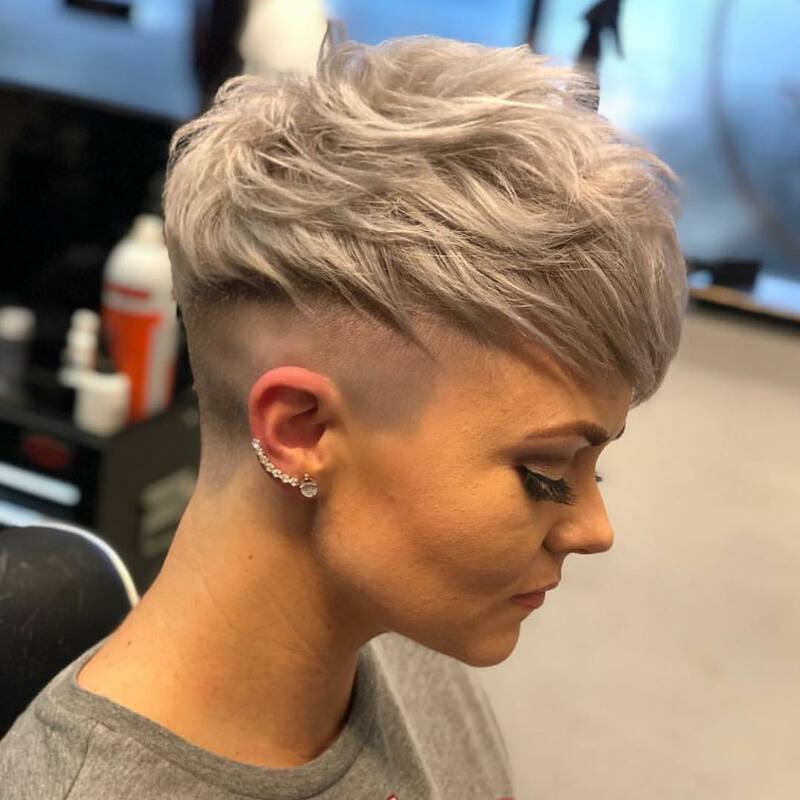 This high fashion shaved look creates a trendy shadow, ‘fade’ around the back and sides of the hairstyle. The sides are decorated by the carefully defined, geometric shape of the hairline. And this makes an attractive creative contrast with the flicked-forward, ash-blonde waves above. Sharp-tipped strands soften the line between shaved texture and the tousled top. 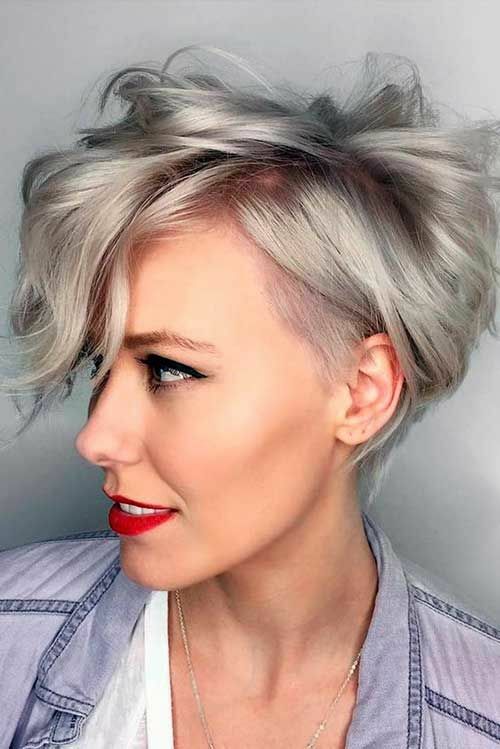 This edgy look is full of trend-setting features reflecting lots of light to create an amazing short hairstyle. The back and sides are buzzed short, with clearly defined lines decorating the sides and back. And if you style the longer top layers into a high-volume quiff, you can lengthen a round face or flatter a low forehead brilliantly. With so many different textures the silver and gray color-combo shimmers with gorgeous 3-D style! 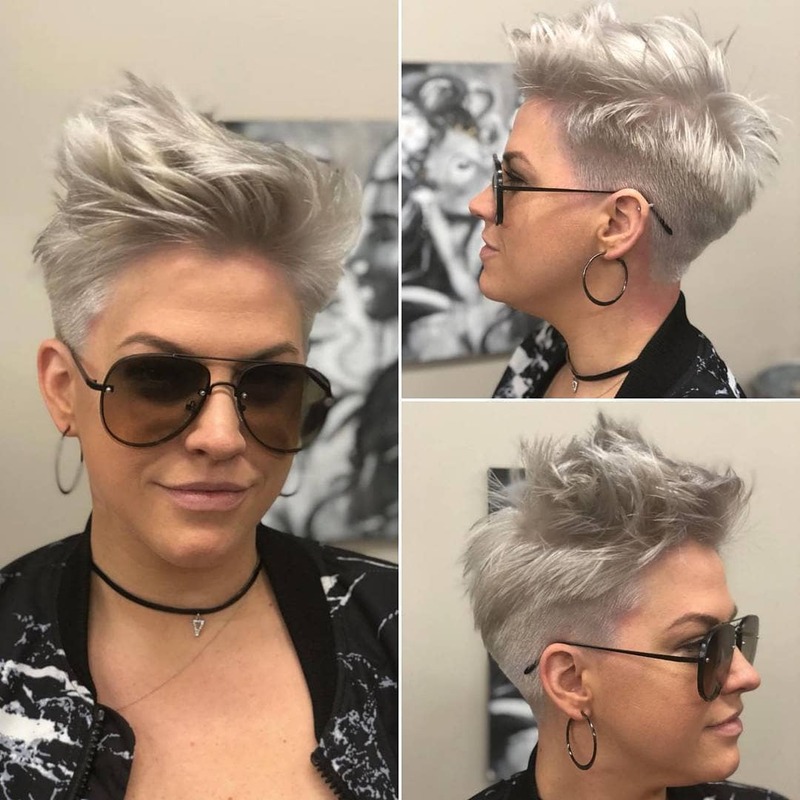 The soft gray shades highlighted with expertly applied silver balayage make this a super-chic and feminine haircut to try. There’s attractive volume around the crown and carefully defined bendy waves ‘stack up’ to create beautiful texture and patterns. Short side-points show off dainty ears and statement earrings. And the separated strands in the wavy fringe soften and flatter the face. 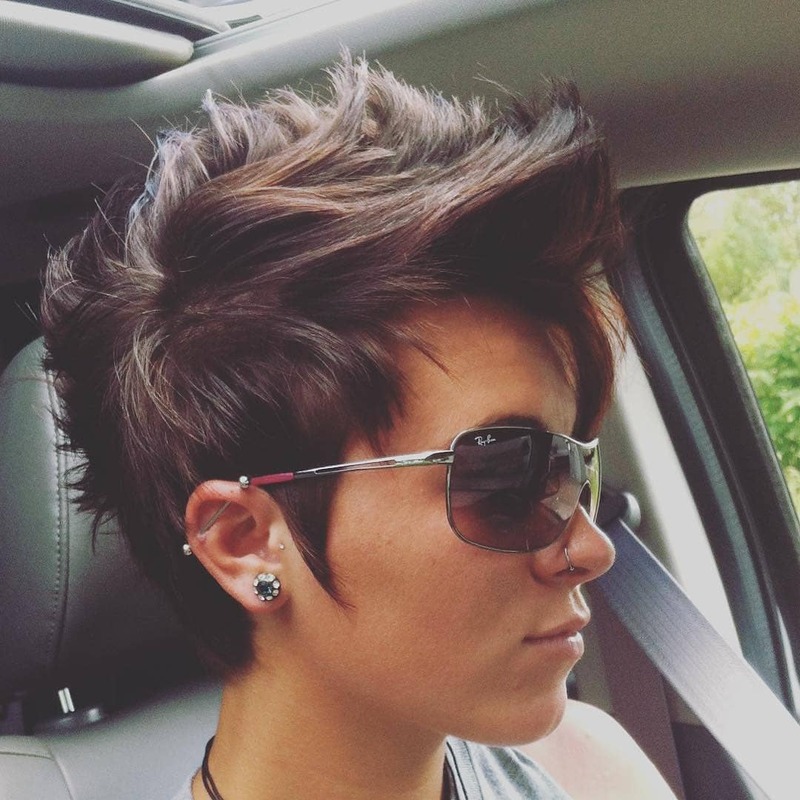 Here’s a new pixie haircut that I’ve never seen before, so full marks to the innovative stylist! It’s suitable for hair that’s medium to thick, as you need density to achieve the look. Instead of horizontal layers, the stylist has cut ‘sliced vertical layers’ to create tapered defined strands on the surface. And when highlighted with pretty, blonde balayage the pattern, texture and movement are fantastic! This boy-cut borrows a lot from the currently trendy male haircuts, to create a flattering, feminine hairstyle. It’s an artfully styled version of what happens in windy weather and the result is full of different textures and lively movement! The front quiff and long, sharp side-points finish off a very stylish short haircut perfectly. 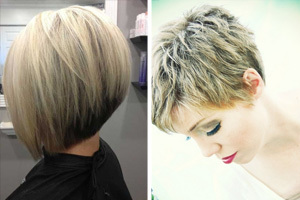 This asymmetrical short bob haircut is a fabulous new shade of pearl-blonde. It’s softer and more fashionable than white-blonde and suits skin with cool undertones. You can achieve this look on fine hair, as the darker roots and cute coral-pink balayage add extra color dimension making hair appear thicker. Show your forehead to add length to your face, or drape the bangs across diagonally, to shorten a long face shape. 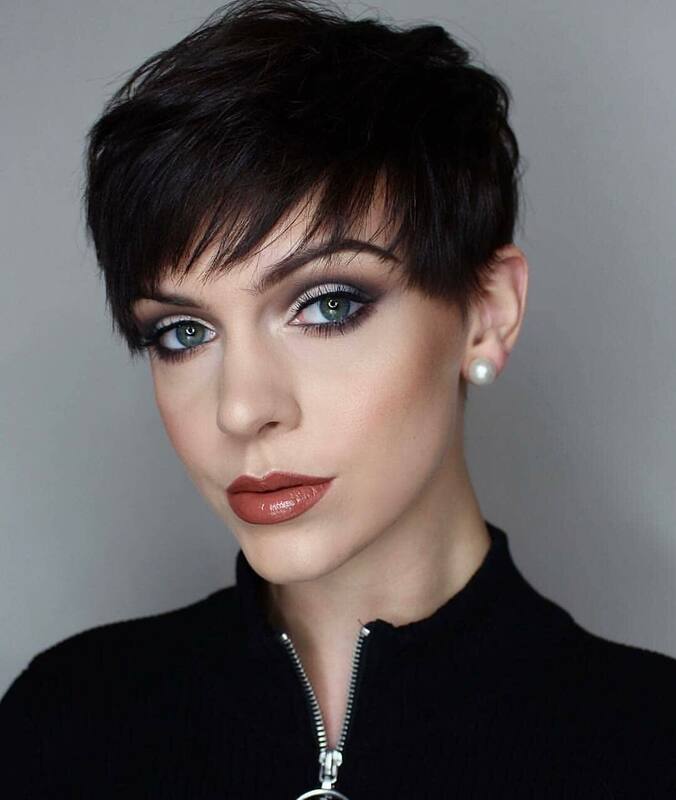 This striking short hairstyle shows off well-shaped brows and eyes and draws attention away from a long face shape. It’s suitable for thick brunette hair types, with density to create attractive rounded volume. 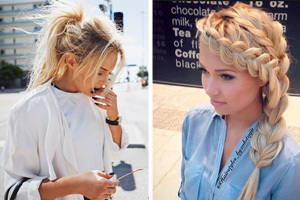 The hairstyle has ‘sliced layers’ which control thick hair and create cute, tapered tips. And lightly side-swept, strands in the bangs soften the line, while blunt side-points minimise a long chin beautifully! 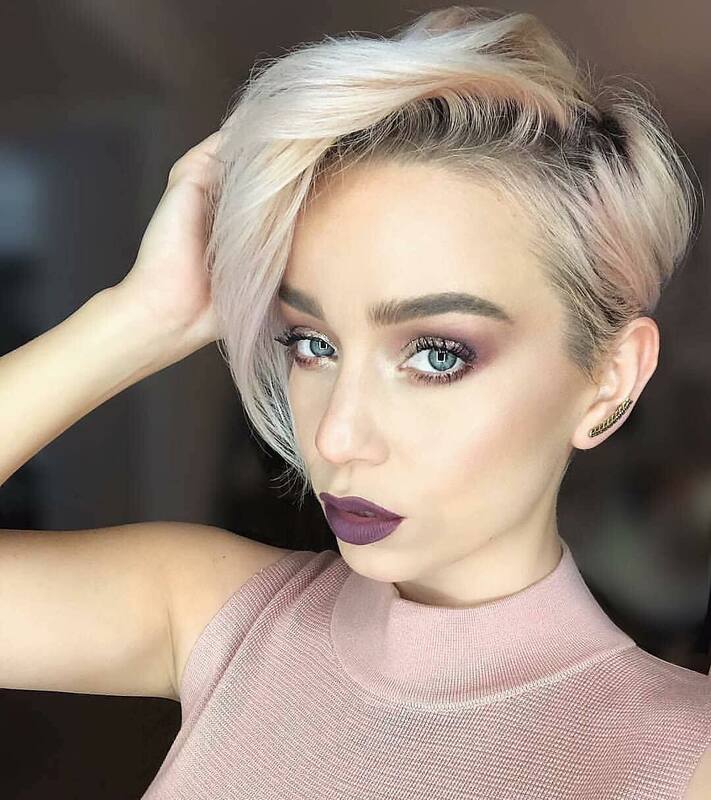 No matter what shaped face or skin tone you have, there’s a fun and flattering messy pixie haircut just waiting to freshen up your image right now!